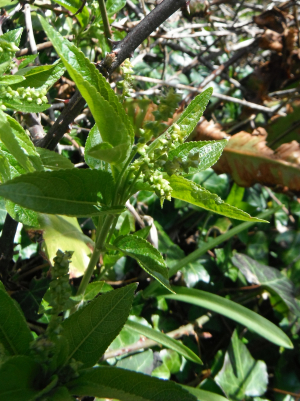 Observation - Dog's Mercury - UK and Ireland. Description: Found on partially wooded bank alongside the Coastal Path in Cwm Mawr. Found on partially wooded bank alongside the Coastal Path in Cwm Mawr.